It probably goes without saying that 3D printing is going to be a mainstay for the next generation of spacecrafts. The technology has already made its way onto extraterrestrial objects, and this morning, 3D-printing bigwig Stratasys confirmed that it’s teaming with Lockheed Martin to create parts for the Orion. The parts, the company is quick to explain, are more than just prototyping. More than 100 3D-printed parts will make it onto the craft, the next generation of manned NASA spacecraft, which is destined first for the moon, and later Mars. 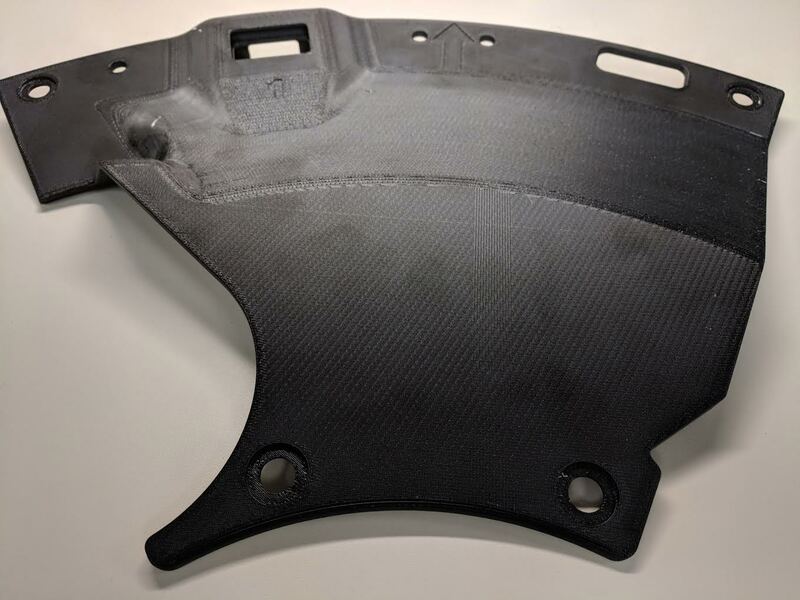 The pieces will be printed ESD Antero, a variety of thermoplastic designed to withstand the extreme heat of space travel. An initial flight, which will include a 3D-printed hatch door, will fly uninhabited beyond the moon over the course of three weeks. Astronauts will crew the ship for a followup, which will find them traveling near the moon for the first time since 1972 — a dozen or so years before 3D-printing technology was first patented. If all goes according to plan, Orion will eventually take a human crew to Mars.